The Canon EF 16-35mm f/2.8L II is the perfect super wide angel zoom. The wide angle zoom lens is what I consider one of the most important wide angle lenses in Canon’s line up – I love it. As seen on the above image you can crop a lot of things into the frame – in this photo I us the 16mm angle setting to focus on the rocks in the foreground with the turquoises water and the snow covered mountains in the distance. The rocks are warmly colored by the setting sun which is contrasted of a light layer of snow. 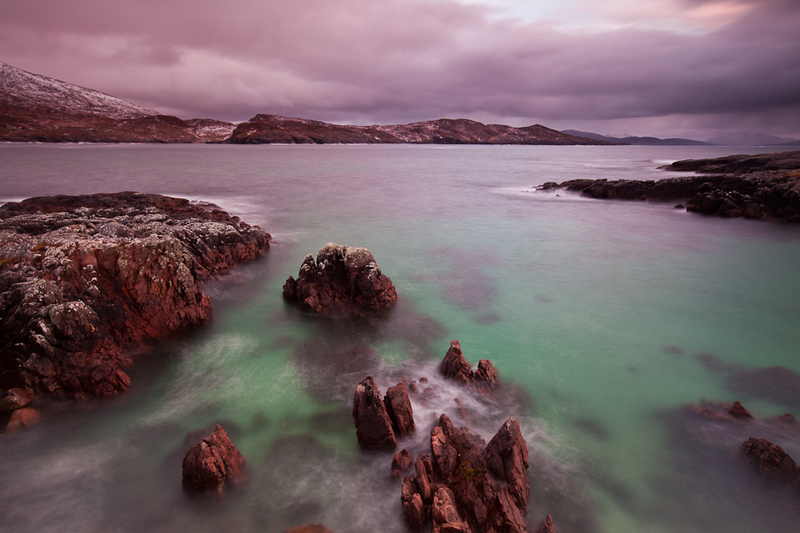 The image was captured on the Outer Hebrides on a rocky coast with small sandy beaches. It was a cold day on this exotic coast and the image was captured with the Canon EF 16-35mm f/2.8L II and the Canon 5D Mark II solid on the Gitzo Tripod. 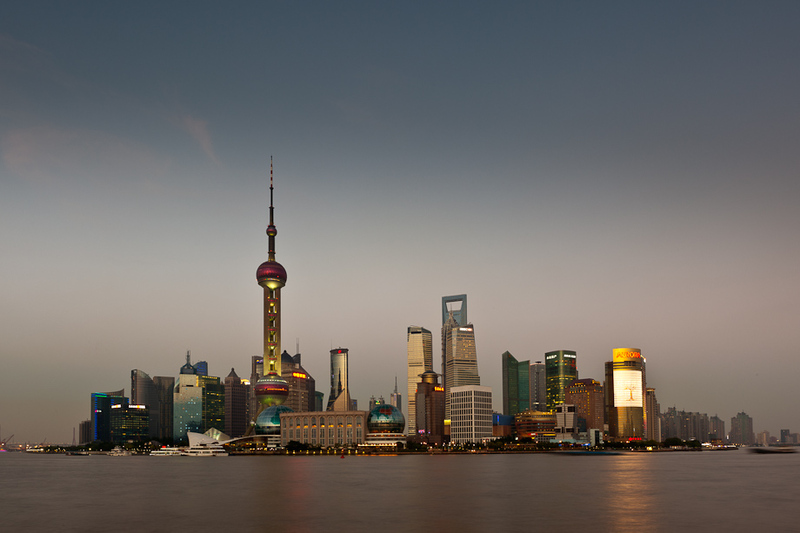 A completely different images is this panoramic photo of the Pudong district in Shanghai– the largest city in the People’s Republic of China – beside this wide angle shot captured with the Canon EF 16-35mm f/2.8 L II and the Canon 5D Mark II I made a large panoramic photo stitch together in Adobe Photoshop CS5 from 6 RAW images. The same image but captured with at two different lenses at different focal length! Yes, this lens exhibits some corner softness and light fall off at the wide end and/or at f2.8, however this starts to clear up nicely even at f/4 and is completely gone by f/8. So altogether and excellent lens for landscape photography. Compared to the Canon 17-40mm f/4 I prefer the Canon EF 16-35mm f/2.8 because it goes down to an aperture of f/2.8. Read about the lens at Canon or a more in-depth-review of the Canon EF 16-35mm f/2.8L II. NextCopyright and Photography – Are you getting credit for your photos?